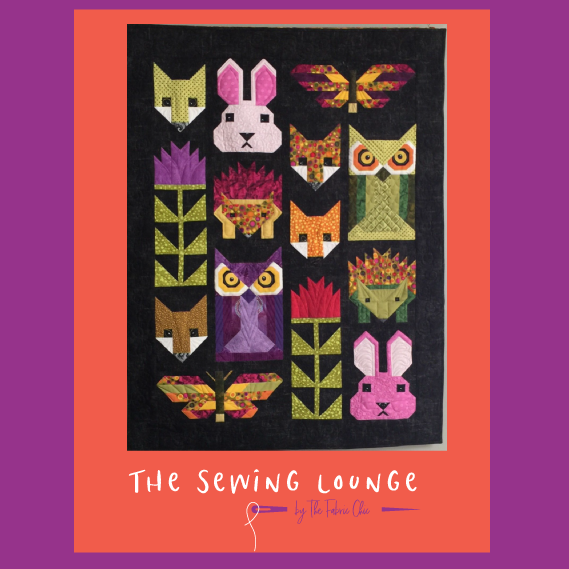 Elizabeth Hartman pattern is calling your name. If you have a finished project from one of her patterns - pillow, wall-hanging, quilt...…...PLEASE bring it along to share! We will discuss color choices, use of the design wall in helping you achieve an overall pleasing color arrangement, and fussy-cutting pros & cons, and ruler sizes that are beneficial to these projects. *feel free to bring a lunch, or order in from one of Parkville's fun restaurants - refrigerator & eating space available. Coffee provided. Instructor Bio: Jessica sewed Fancy Forest in 2017 - having completed only ONE quilt prior to making this one! She recently pieced Lloyd & Lola at a weekend retreat, and has several more in the "line up". She is obsessed with Elizabeth Hartman critters, and is currently working on Preppy the Whale.